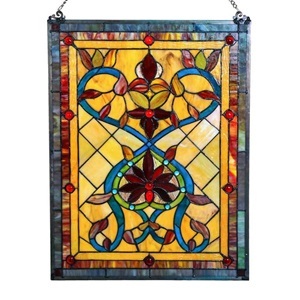 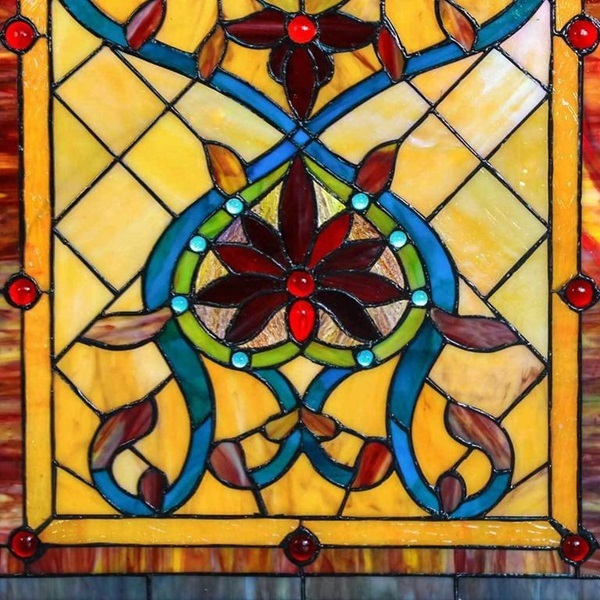 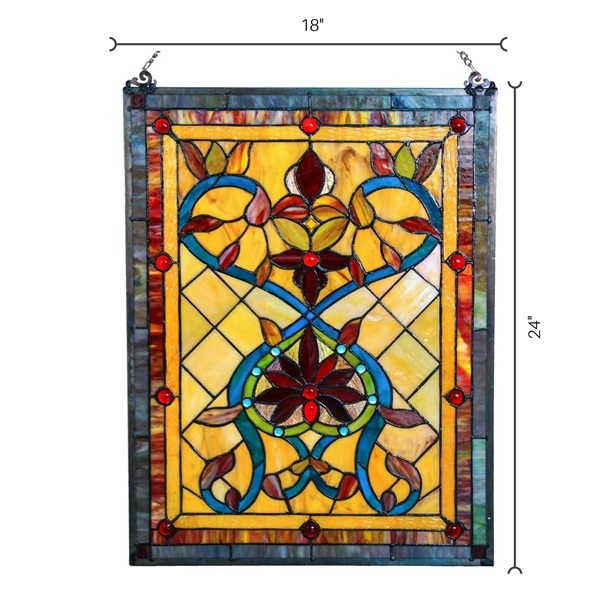 This glass panel is sure to bring inspiration to your space with its sunset hues of red, orange, and yellow made from 202 pieces of hand-cut glass. 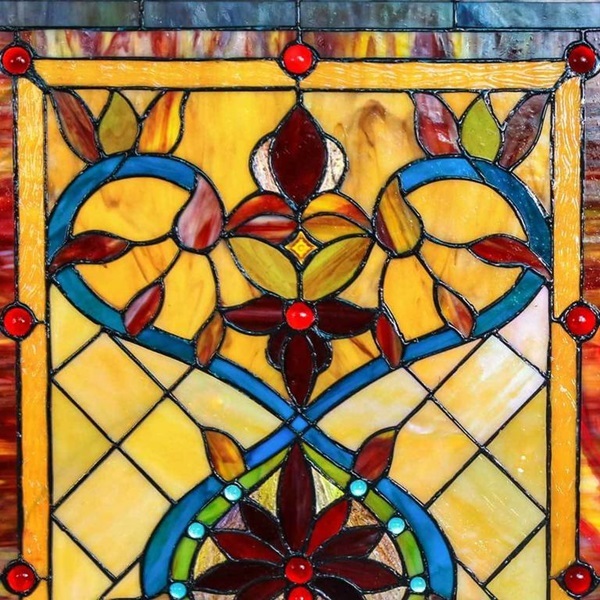 The design incorporates flower petal elements with Edwardian hearts against a lattice background. 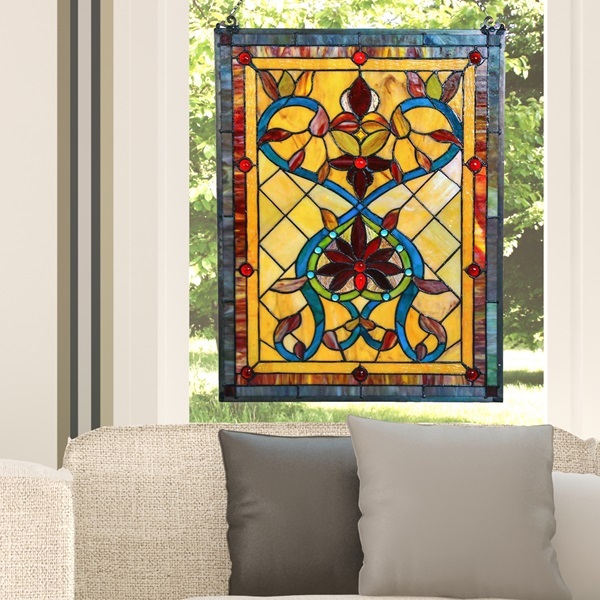 This is the perfect piece for a large window in need of a little privacy.